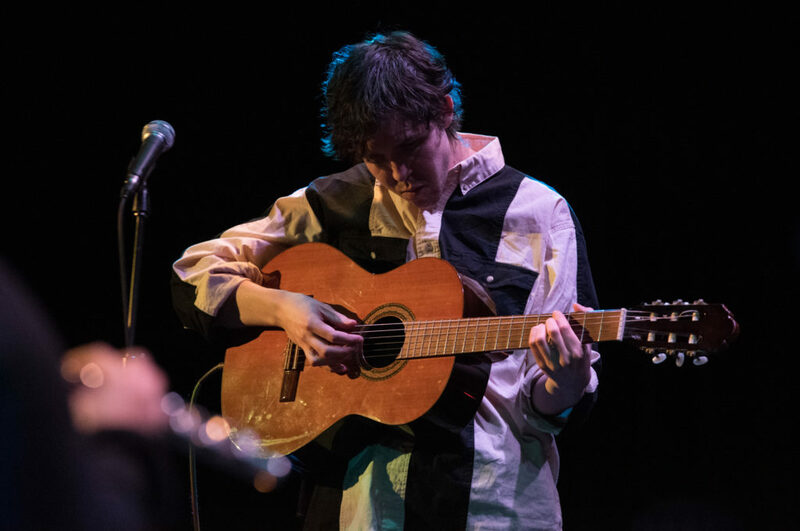 With the snow lightly descending on the nation’s capital, the NAC’s Fourth Stage was a perfect setting for a Friday night Megaphono showcase featuring Trails, Luka, and Keturah Johnson. This was my first time at the Fourth Stage in a long while, and what a beautiful room it is. It really helps create a very intimate setting for a performance, especially when it is a sold out standing room only show like this one. 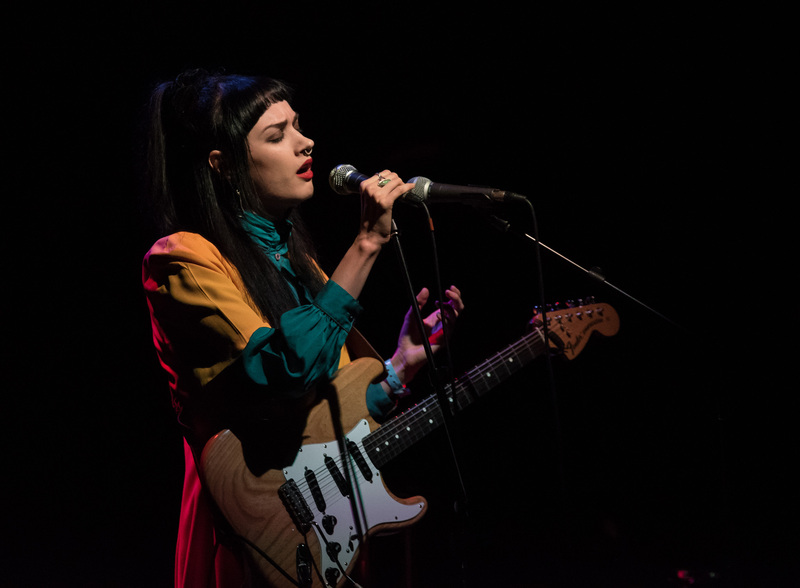 Trails performing on the Fourth Stage of the NAC during Megaphono 2018 in Ottawa. Headlining the night was Ottawa’s Allie O’Manique, better known to most as Trails. In just a few years she has really gained a lot of momentum in Ottawa as one of the truly up and coming artists in town. Now you may find it hard to call someone up and coming when they have already opened for Andy Shauf in the UK, but Trails stills feels so new and fresh to me. She has so much potential, which in itself is pretty scary but mostly exciting. 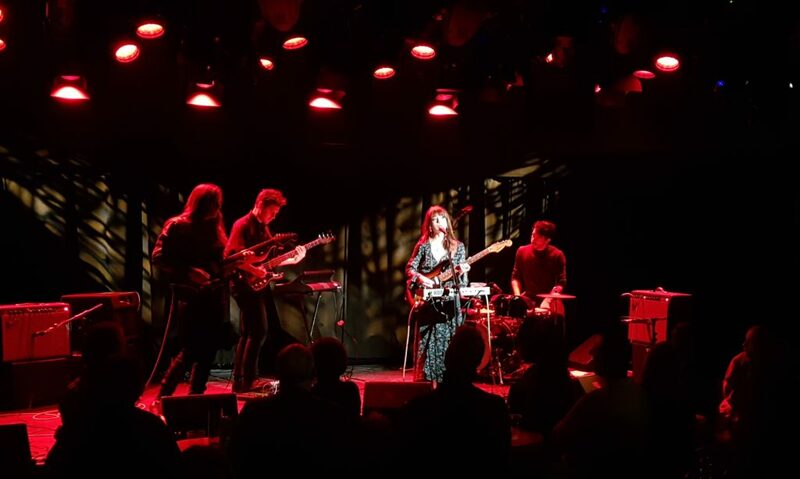 O’Manique certainly knows how to turn on an eerie haunting edge to her vocals which melds perfectly with the instrumentation of the backing band on this night, Especially on songs like -“Mourning/moaning/morning/snowing ” from her debut full length album The Past Is Coming Fast. Of course, it certainly doesn’t hurt to have local musician extraordinaires—Philippe Charbonneau, Pascal Oflaki, and Jamieson Mackay—as support on stage. While much of the music has a much more mellow and psyche feeling to it which can both serenade you to sleep or ease you into deep meditation, the band did switch things up a little on one song. The rowdier jam was maybe a little too much for them though, as guitarist Jamieson Mackay blew a string. Like a true champion he powered through. However, there was a moment of worry when he told the crowd he might not be able to play the “sweet lick” at the end of their powerful finale “Leave Her Be.” Luckily for us, he found a way and capped off the absolutely song which she wrote and arranged with Jonas Bonnetta of Evening Hymns, and really shows the growth and immense potential for more. Luka impressing the NAC crowd at Megaphono. Photo by Els Durnford. Setting up Trails’ set was poet and crooner Luka Kuplowsky and a group of smooth rock n roller from Toronto who perform as Luka. 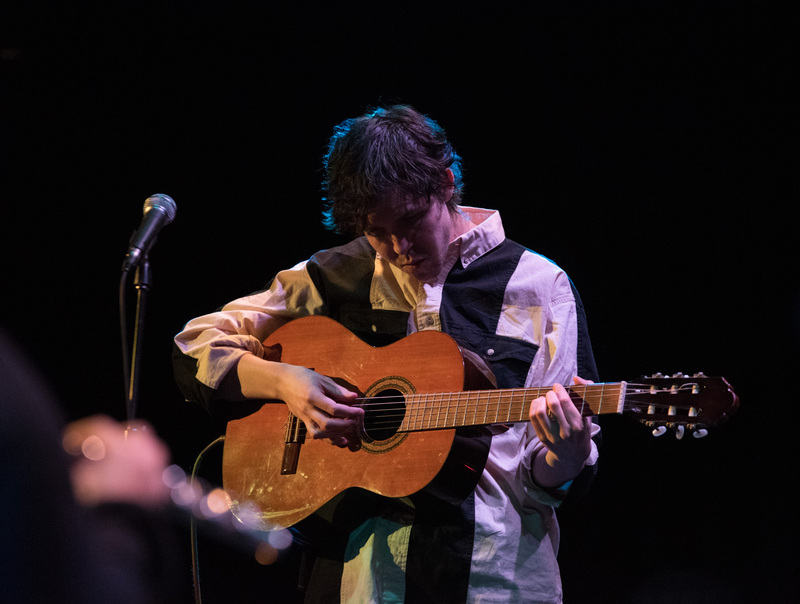 Kuplowsky, rocking an acoustic guitar with no strap, reminds me of early Lou Reed in how he almost speaks over the music more than singing most of the time and delivers poetry with the upward intonation in his voice at the end of his lines. I was immediately hooked from the first song “City By My Window” to the amazing closing track “O My Heart Is Full” which is a near perfect song in my opinion, have a listen. If the singer’s smooth stylings weren’t enough, he is surrounded by very talented musicians, including an extremely entertaining drummer and a dynamic flutist—yes, a flutist. I believe there were more flute solos in the performance than guitar solos, which is not something you see every day. One of my favourite songs from the night was “Quick Reflex” off his latest album What Kind of Animal, which tells the story of a hand-me-down baseball cap with a beautiful melody and finishing with a roaring crescendo in the live performance. This was just one of many very impressive moments of pure chaos with the soft vocals, off beat drumming, rapid guitar and bass strumming and racing the flute that really took the performance to the next level. Keturah Johnson serendating the NAC crowd during Megaphono. Photo by Els Durnford. Opening the night was another stellar local performer, Keturah Johnson, who on this night was flying solo and without her The Heavy Medicine Band companions. Johnson is absolutely masterful at looping her own guitar and incredible vocals, then playing and singing over those loops. It had my jaw dropping right away. Johnson’s vocals are so powerful and filled with passion and sometimes darkness that there are moments that make your spine tingle. Her solo performances takes the time to fully craft the song, but the end result is beautifully layered beyond any a regular solo performance delivers, and the process is like watching someone play a bunch of smaller tracks that perfectly fit together. It is comparable to watching and old-school DJ craft a mix on vinyl from scratch, except this is being performed with very different instruments. And Johnson has no fear of the sounds of the classics even with the “modern” looping technology songs like her finisher “Conduit” shine on her influences like Pink Floyd in all the right ways.